These two - where do I start! This suite was so fun to create because of the vision Eveline + Simon had! They wanted their elopement announcement to become an art piece for their guests & loved ones. The announcement is also an invitation to their reception back in North Carolina. 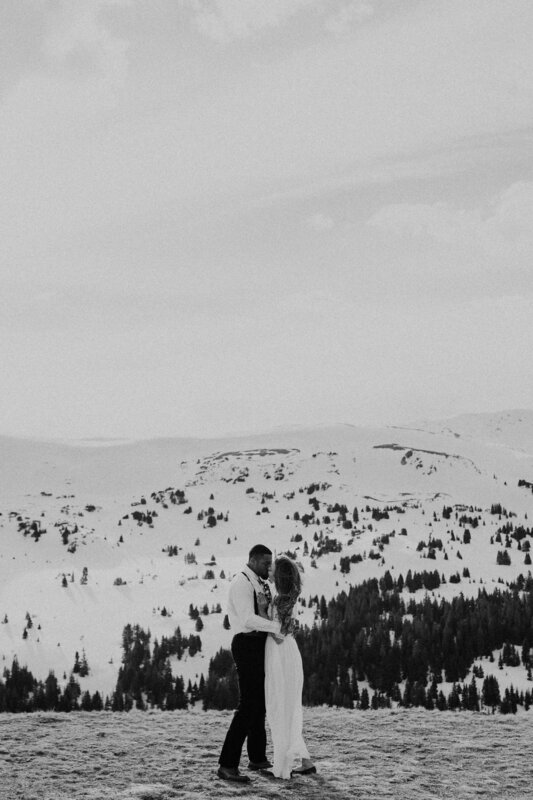 The two eloped in Loveland Pass, Colorado, which can be seen on the letterpress printed linen wrapping around the Farmette Press handmade paper. The pair wanted to encapsulate their trip to Colorado, so we included a custom moth illustration & a mountainy-forest color palette.